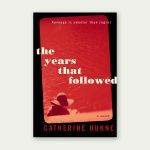 International bestselling Irish author, Catherine Dunne, launches onto the Canadian scene with her latest novel The Years That Followed. On Tuesday, 25 October 2016, Catherine will meet readers at Ravine Vineyard, Niagara-on-the-Lake, and will present her latest work. 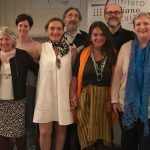 The Years That Followed is already captivating readers’ imagination and earning marked acclaim in Italy and Ireland, while translation rights have also been acquired for Polish and Greek language editions. The Years That Followed is scheduled to be released in the United Kingdom early in 2017. Catherine’s novels have been shortlisted for many prizes. In 2013, she was honoured to receive the Giovanni Boccaccio International Prize for Fiction. This award coincided with the 700th anniversary of the birth of Italy’s famed poet, writer, and Renaissance humanist, Giovanni Boccaccio. The novel that won this prestigious award was entitled, The Things We Know Now. It was also shortlisted for the Novel of the Year at the Irish Book Awards in 2013. Recently, Catherine was longlisted for the inaugural Laureate for Irish Fiction. 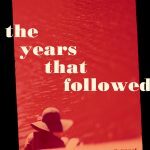 This latest novel, The Years That Followed is available in Canada through Macmillan Publishing and will also launch in New York in October 2016, published by Simon & Schuster / Touchstone. Following these launches, Catherine is scheduled to be a guest of honour at Italy’s International Pisa Book Festival in November 2016. The Canadian launch of The Years That Followed on October 25, 2016, will be a meet-the-author evening in the beautiful surroundings of Ravine Vineyard in Niagara-on-the-Lake. To avoid disappointment, attendees are encouraged to reserve their copies of The Years That Followed in advance when booking their FREE ADMISSION TICKETS on eventbrite, as there will be a limited number of books on sale at this event. Guests at the Tuesday, October 25th launch will meet Catherine Dunne personally, enjoy a reading, question/answer period, and a chance to have their books signed and snap a photo with this acclaimed author. 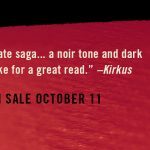 Catherine’s unique style of writing resonates with readers everywhere. In this, and all her books, she tackles issues that touch all of us in different ways. 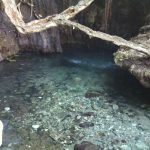 Her fascination is with what lies beneath the surface of what we call ‘ordinary lives’. Her many novels continue to intrigue and delight her audiences. 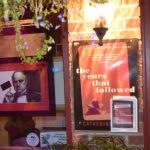 See for yourself – join us on Tuesday, October 25, 2016, and experience the spellbinding magic of Catherine Dunne and #TheYearsThatFollowed. Love this novel, THE YEARS THAT FOLLOWED. I normally don’t even read novels, but I couldn’t put this one down. A real page-turner that lives up to its tagline, “Revenge is sweeter than regret”. You’ll love it.